For Ann Carol Nash, helping others is her vocation. Helping them help themselves is her passion. Ann Carol realizes that laws are meant to serve people. These qualities have led her to practice both domestic relations and municipal law. She uses her legal skills and knowledge so people can stay safe, solve problems and get along with each other. 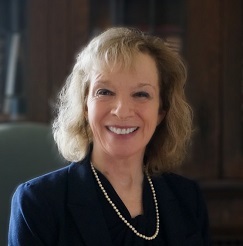 As a family lawyer, Ann Carol deals with divorces, paternity cases and guardianships. She understands the impact Family Law has on people’s lives. In fact, she has co-authored three volumes on the subject that have become valuable tools for legal practitioners. Ann Carol also serves as a mediator and guardian ad litem for children and incapacitated adults. Ann Carol has represented local governments for over 20 years, concentrating on public safety and drafting legislation. She has a distinct ability to get opposing community groups to work together to make for a more healthy and enjoyable place to live.